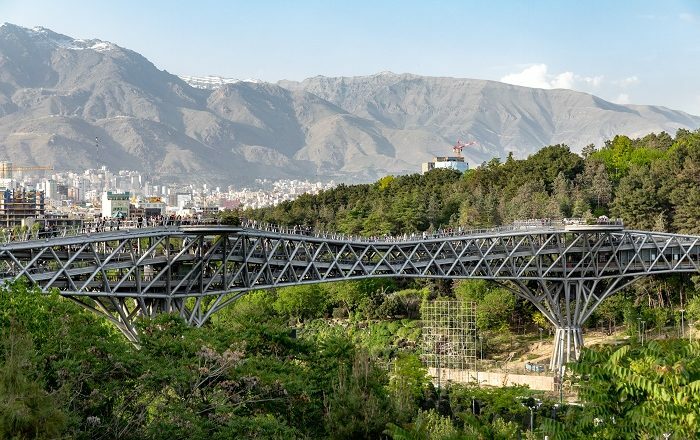 The Tabiat Bridge, sometimes written as Tabi’at Bridge, is known as the largest pedestrian bridge that can be found in the capital city of the Islamic Republic of Iran, Tehran. 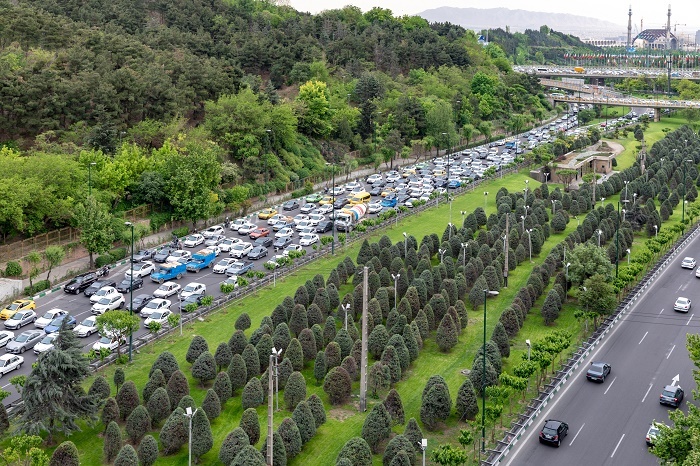 As it is 270 meters (890 feet) long, this bridge connects the two public parks, Taleghani Park and Abo-Atash Park, spanning over the busy Modarres Expressway, which is considered as one of the main highways in the northern part of the city. 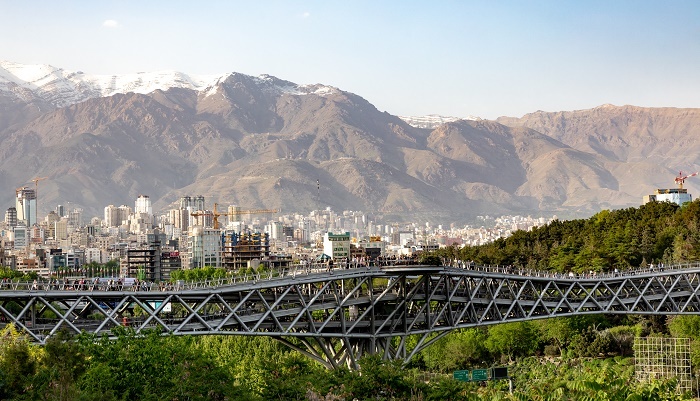 As construction of the Tabiat Bridge took around 4 years, it was completed in 2014 according to the design of the Iranian architect, Leila Araghian. 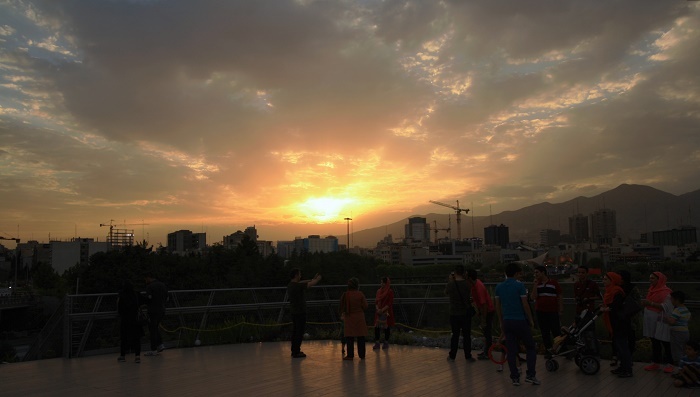 Together with the contracted lead designer studio, Diba Tensile, Tabiat is definitely one of the most interesting features of modern architecture that can be found in the world. 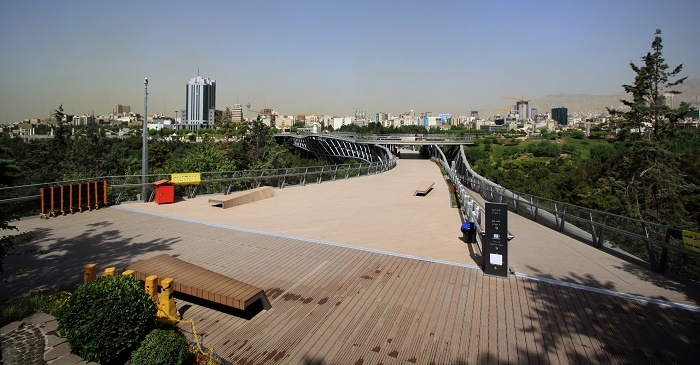 There are three different levels which follow a curved path, connected by various ramps and stairs that inspire the pedestrians to use their imagination as they are in different world while trying to get from one side to the other. 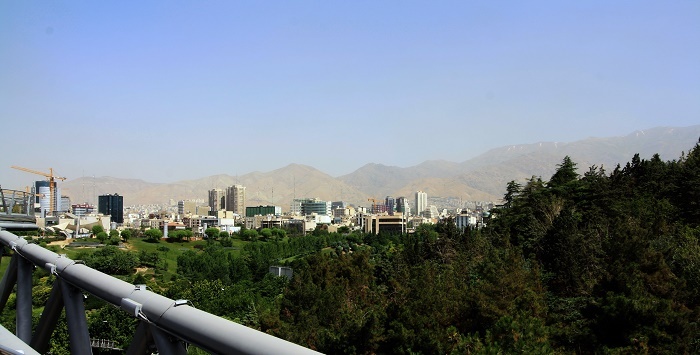 Not being the commercial bridge connecting two points to which people are used to, there are multiple points from one side which connect various points on the other. 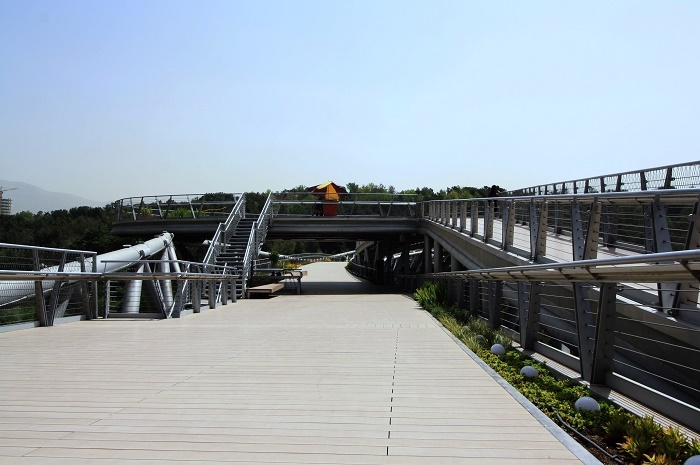 In addition, coffee gallery is included on the premises together with a restaurant, so that the pedestrians would stay a little bit longer and enjoy in the impressive natural vistas of the surrounding. 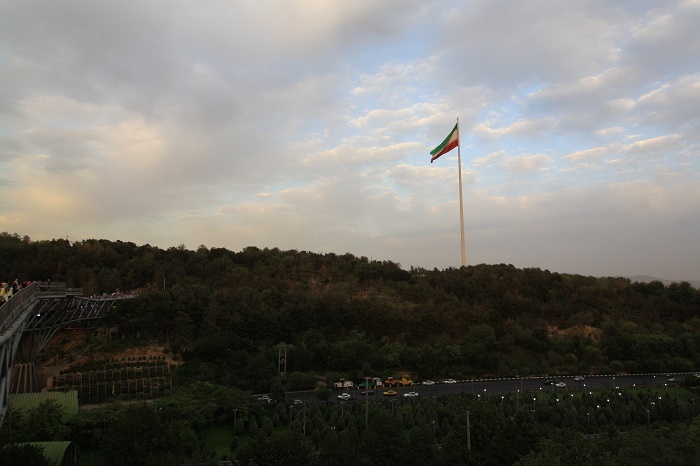 Even though it was built as the ones from the past, such as Si-o-se-pol Bridge, it is still very different one. 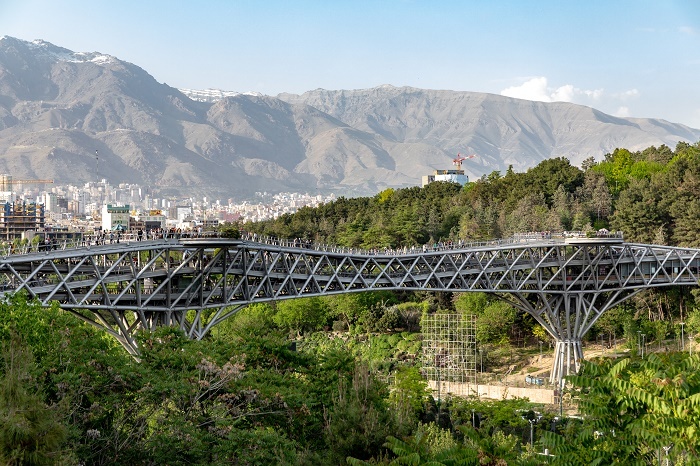 All in all, offering the opportunity for the talented local Iranian architects to show their impressive work, Tabiat Bridge has brought together the traditional architecture and the modern one closer by showcasing the compelling curves and blend of bulky steel and wooden decks.